Nigeria's vice-president has the right to perform all duties on behalf of sick President Umaru Yar'Adua without any formal transfer, a judge has ruled. It is the first of four cases aiming to clarify who rules Nigeria during Mr Yar'Adua's absence. He has been in a Saudi Arabia hospital since November. Ministers and the lawyer who brought the case said they were satisfied. 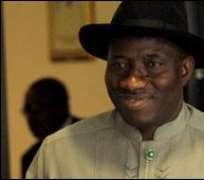 But some critics want to see Vice-President Goodluck Jonathan become official head of state. Northern powerbrokers may be reluctant to see a southerner take over officially before the next scheduled presidential election in 2011.